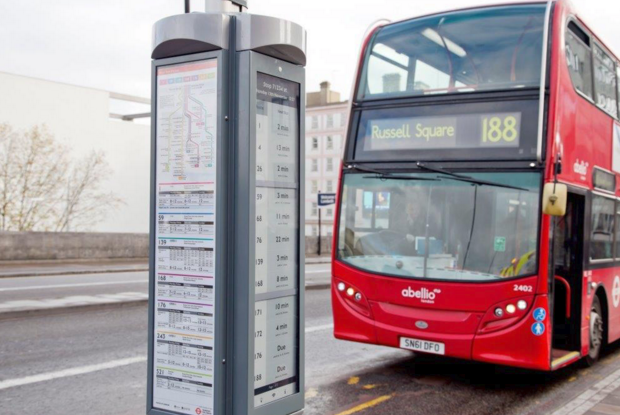 London has become one of the first cities in the world to test out using e-paper signs to provide real-time transit information at its bus stops. 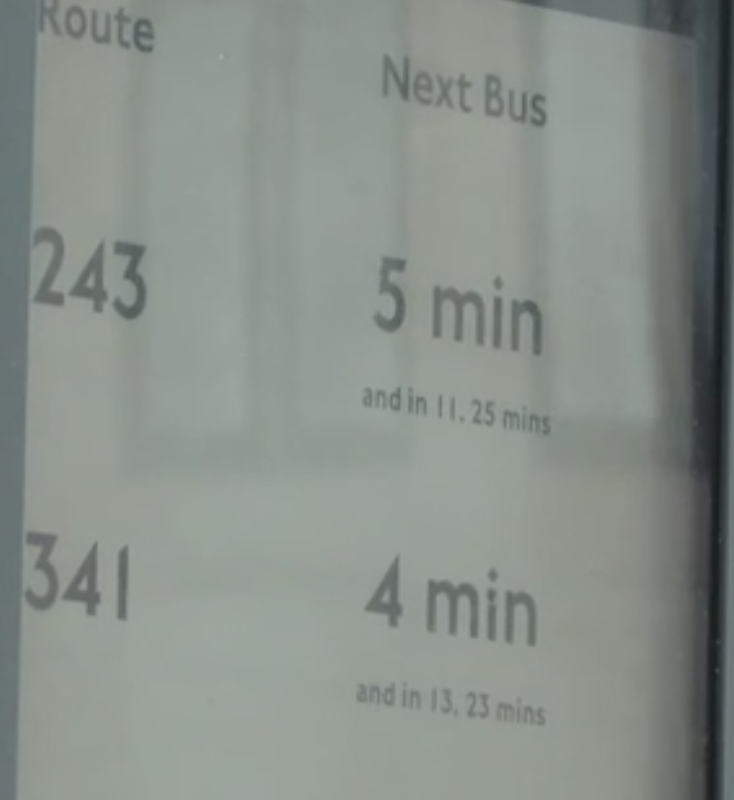 The signs show how long until each bus arrives, but they can also provide additional information by using three buttons below the display. What is really nice about e-ink is that it uses almost no power. This is the same technology that is used in the Kindle. It can display what is on the screen indefinitely without using any electricity, energy is only used when the screen updates. These signs can be solar powered and in London they will use 3G data to get updated information. The fact that you would not have to plug them in anywhere makes them relatively easy to roll out and install. These types of signs would be great for VTA's growing bus network. Light Rail is already getting color flat-screens. E-paper signs would provide a less expensive alternative for VTA's hundreds of bus stations. They could also be used to show ads and other information to help cover their costs.